May is Veteran's Appreciation Month at Tuck-A-Way Resort. All military veterans and their families receive a 15% discount on their vacation with us. It's our way of saying thank you to the men and women who proudly serve our country and work to keep us safe. Call us at (218) 587-4725 to reserve your May vacation at Tuck-a-Way! October at Lake Hattie features beautiful fall colors, mild days, crisp cool nights, outstanding crappie fishing, and great deals at Tuck-a-Way Resort. Stay with us 4 nights for the price of 3 over MEA, Wednesday, October 17 - Sunday, October 21, 2018. It's the perfect little fall get-a-way and you stay FREE for one night! Call 218-587-4725 and mention this offer to reserve your October 2018 vacation today. Stay with us at Tuck-A-Way in November and choose any cabin (based on availability) for just $130/night for you and your group. Call us at 218-587-4725 and mention the November Hunting Season special to get a special rate on your heated cabin this deer hunting season. Tuck-a-Way is the perfect place to stay for a Winter Weekend adventure. We've got immediate access to hundreds of miles of the best snowmobile trails in Minnesota for you to enjoy. Ride right from your cabin door to the Aspen Snowmobile trail on the edge of the resort property in less than five minutes. We've also got great ice fishing on Lake Hattie, an old-fashioned skating rink right on the lake, and five cozy, heated cabins to keep you nice and comfortable. Special #1 - Book a 3-day weekend stay Friday-Sunday (2 nights, 3 days) with us December 1st-March 31st and get HALF OFF your second night's rate. Special #2 - Book a 4-day weekend stay, Thursday-Sunday (3 nights, 4 days) with us December 1st-March 31st and get your third night FREE. Call us at 218-587-4725 and mention the Winter Weekend Special to get your discounted rates! The SNOW is here and the trails are OPEN! We have 12+ inches of fresh snow with more on the way. 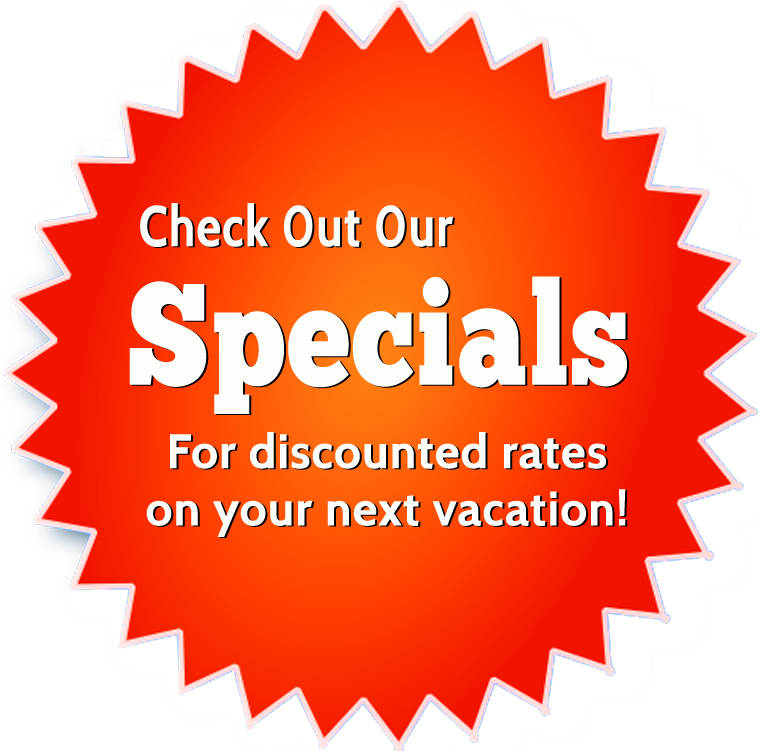 Check out the Specials Page for great rates on your next winter vacation with us! Book your next Minnesota vacation today!